This post describes a simple Spring JpaRepository example using an in memory HSQL database. 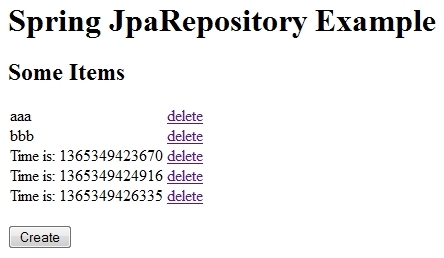 The code example is available from GitHub in the Spring-JpaRepository directory. It is based on the Spring-MVC-With-Annotations example and information available here. More Spring related posts here.